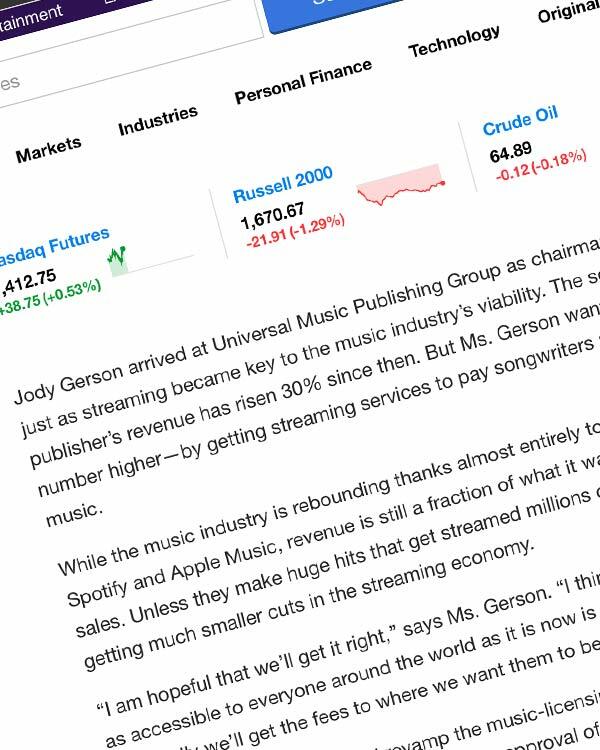 Jody Gerson arrived at Universal Music Publishing Group as chairman and CEO in 2015, just as streaming became key to the music industry’s viability. The second-largest music publisher’s revenue has risen 30% since then. 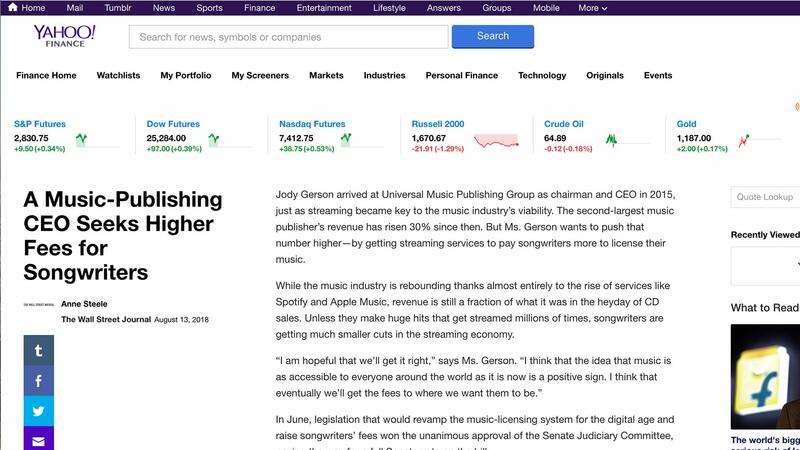 But Ms. Gerson wants to push that number higher—by getting streaming services to pay songwriters more to license their music.